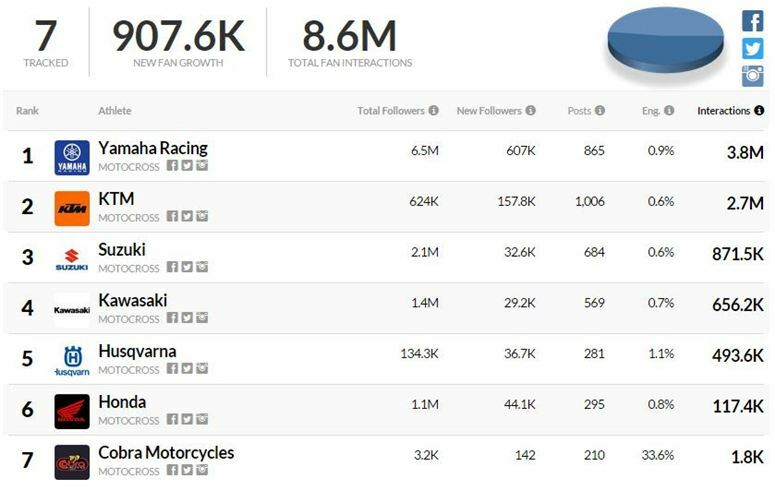 Over the first half of 2015, Hookit tracked Facebook, Instagram and Twitter posts and interactions for the top motocross athletes, brands, and manufacturers. 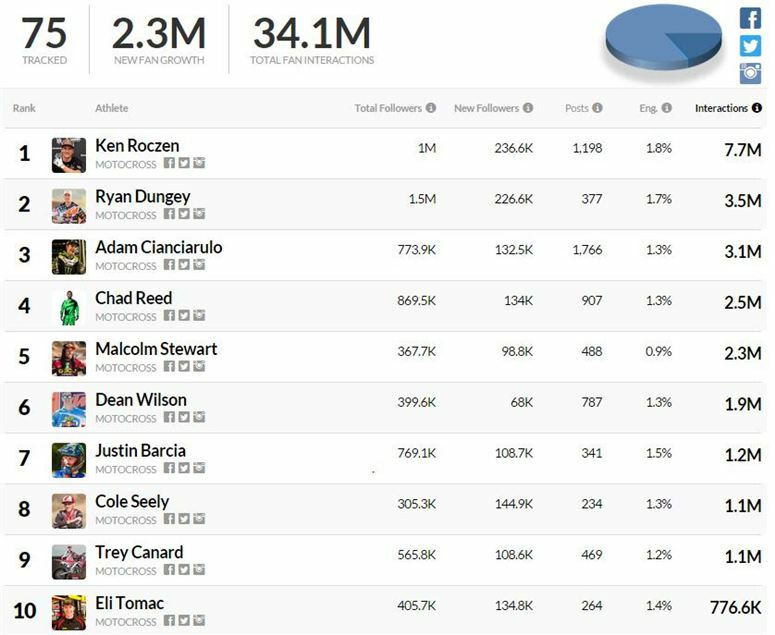 Led by Ken Roczen, the athletes generated over 34 million fan interactions over the six month period, and the brands and manufacturers combined to generate over 33 million interactions. 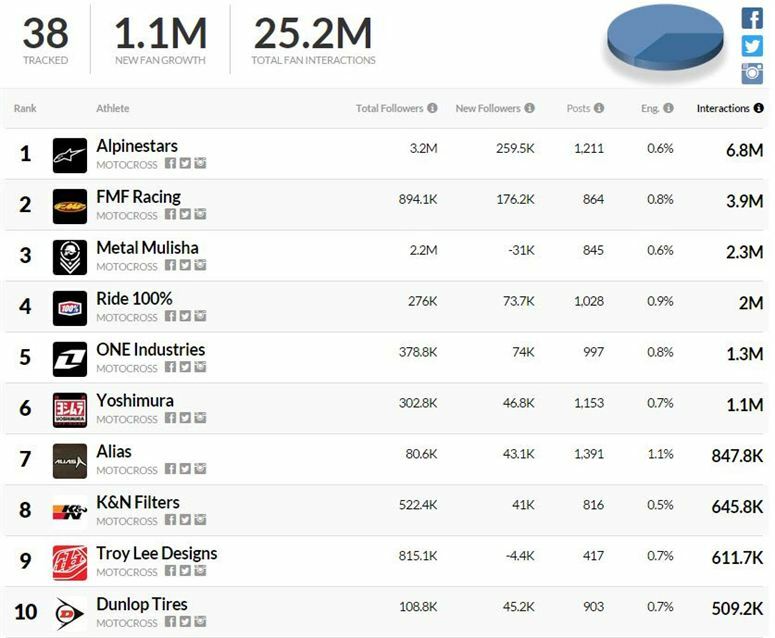 Check out the rankings to see how your brand stacks up. Hookit offers the most powerful platform to quantify and track the value and performance of sports marketing programs. Hookit can provide a wealth of other information and services to help you make the most of your marketing dollars. Please call us at 888-874-3374 ext.106 or e-mail sales@hookit.com for more information.